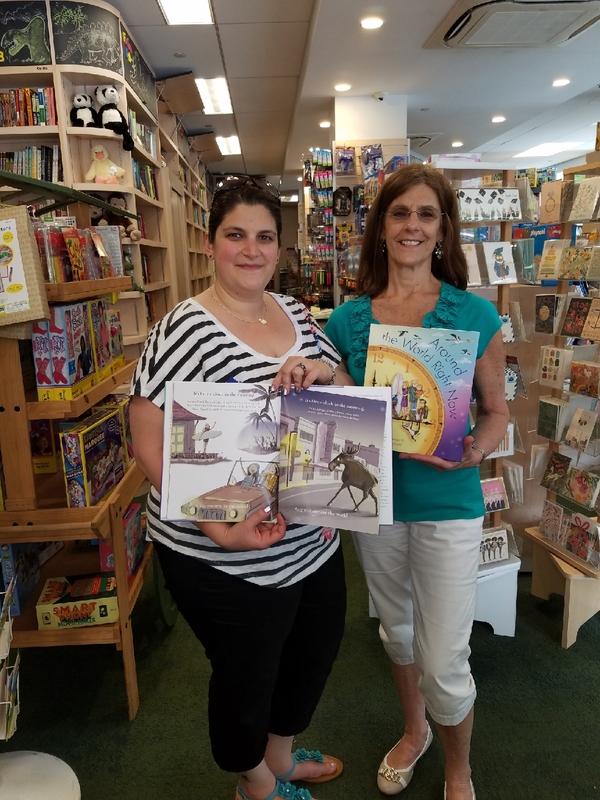 Andy: Today we are talking with Gina Cascone, Bree Sheppard, and Roger Williams about their experiences as authors promoting the newly released children’s picture book, AROUND THE WORLD RIGHT NOW. It’s a wonderful book for children that takes the reader to all the time zones of the world and shows what is happening in different countries during the same moment of the day. Right now something magical is happening somewhere in the world. The cable cars are waking up families in San Francisco. Lemurs are snagging a snack from a picnic in Madagascar. Scientists are studying the sky in the South Pole. Pretty much every author I have represented is disappointed in the amount of marketing done for their book by their publisher. That’s why it’s essential for authors to have their own marketing plan and be ready to do the lion’s share of work selling their book. Fortunately for Gina and Bree, their husband/father is Roger Williams. Roger, like me, is a literary agent. But he has at various times in his life in book publishing been a publishing sales director and an independent bookseller. So nobody knows the ropes as well as Roger. Guys, can you describe the elements of the marketing plan? What are you doing to supplement their plan? G, B, and R: Since this is our first picture book, we wanted to get out to meet as many booksellers as possible. Booksellers are wonderful partners – the original social media! When they like a book, they will hand sell it to their customers. Booksellers also have good relationships with schools, so we wanted to be sure the booksellers have everything they need to recommend AROUND THE WORLD RIGHT NOW to their school partners. So, with Bree’s two elementary age kids, we will be driving to 75 bookstores in the Northeast and Middle Atlantic states to sign stock. We’ve made up boxes of chocolates with our business card and we are giving them a flyer that they can send to their school partners for future school events. We will be taking pictures throughout the tour to use for social media. Andy: How did you coordinate this with your publisher, Sleeping Bear Press? G, B, and R: We devised this plan, and presented it to our publisher. They were a bit dubious at first. This tour takes a lot of leg work, but we agreed to be the main point of contact with the bookstores. The publisher discussed the idea with their sales staff. They were very supportive and we began emailing the stores to set up the itinerary. The publisher has supplied us with catalogs for the stores, and an emergency stash of books, which we keep in the trunk of the car, should some bookseller get caught without their order when we arrive. Andy: Roger, what about marketing to Barnes and Noble, to Amazon, and to schools and libraries? Are you reaching out to them or is this the job of the publisher? R: The Sleeping Bear Press sales manager did a great job presenting AROUND THE WORLD RIGHT NOW to the B&N buyers. The buyers liked the book enough to include the book in one of their summer reading promotions. The book is a display feature in the B&N stores until mid July. That is a real icebreaker when talking to the B&N Community Relations Managers at each store. With the buyer’s blessing we included B&N stores in our “Around the Bookstores Tour”. The B&N store staff have been wonderful and welcoming. The reason for visiting all these stores, B&N and Independent, is to drop off our flyer that they can use to reach out to their partner schools and Parent Teacher Organizations. So our booksellers are our ambassadors to the schools. Regarding Amazon, we are happy that people are posting such nice reviews. However, our goal right now is to introduce ourselves to as many bricks and mortar booksellers as possible. Andy: Has the publisher been encouraging about your outreach or have they tried to control or limit it? G,B, and R: Sleeping Bear Press has been very supportive. It helps that we are former booksellers so we have some experience in knowing how to approach the stores. The key is to make this as easy as possible for the stores. No pressure to have stacks of books to sign. It’s the personal connection, and having a few autographed copies on hand that helps the stores. Of course having the chocolates to give out helps! Andy: You guys sent me a box of those chocolates at Christmas time. It’s always good to have your agent on your side too. So more specifically, what else did the publisher do? I know you guys were at the book trade show signing copies of the book for booksellers. Publishers usually only do this for their lead titles. That’s a good sign? G, B, R: We were very lucky to have the support of the Sales and Marketing Director from very early on. Publishing is all about personal connection and we had the opportunity to meet with her shortly after we finished writing the book. We asked her the simple question. In her experience, what makes a successful author partner? She was very forthright, so we proceeded to do everything she told us to do! She was also instrumental in the design of our website, CasconeSheppard.com. It is always important to understand that publishing a book is a cooperative experience. We are so lucky that we can be a part of the marketing plan, but the key is to understand that we have to do a lot of work. Andy: So what’s working? What isn’t working? G,B,R: What’s working is staying on top of blogging and Facebook. Constant posting of photos helps. Sending thank you notes to everyone who does anything to help. What isn’t working is publicity. Publicity these days seems nonexistent. There are just so few review venues anymore. You have to make your own publicity on social media. Andy: I’m glad you mention social media. Tell me a little more about how you are using it and which venues are the most useful. G,B.R: Social media begins with a good web site. We know from experience that a web site should be simple, informative, and fun – always offer buying options for the book(s) and have downloadable materials. Next step is to write a fun blog posting a few times a month. The blog post should be about something. Just hammering people to “buy my book” is going to get pretty stale. Saying something about how your book relates to life is reason to why people will keep coming back. The message of AROUND THE WORLD RIGHT NOW is “There are 24 hours in a day and every minute of every hour of every day, somewhere in the world, something wonderful is happening” So that is the theme of every blog post. Beyond the blog, we make sure that we post on Facebook. Facebook is a great way to keep a diary of our progress and stay in touch. 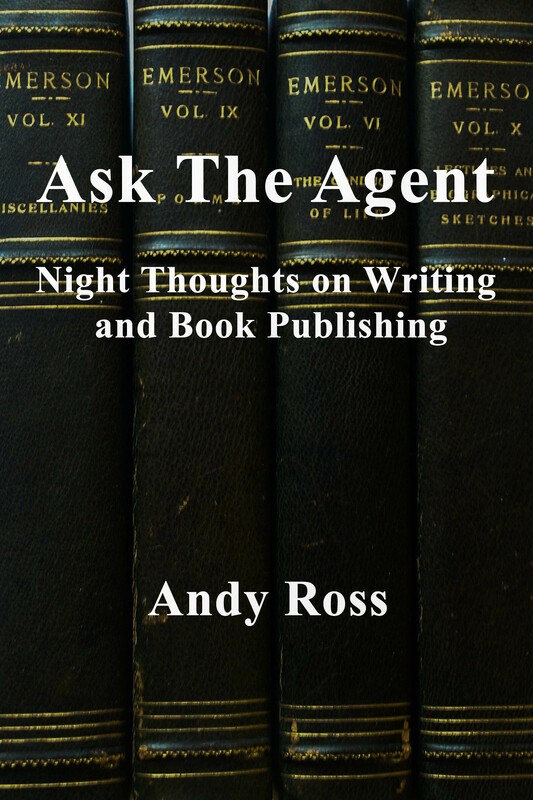 Andy: What advice would you give to writers who are getting their books published for the first time? What should they be thinking about to help market their book? G,B.R: Most authors like writing books, but are uncomfortable with the business side of publishing. However, the number one rule for being a happy author is to learn the business of publishing. Even if you already have a book deal you should seek advice from people in the business to help you understand what is realistic, and what is practical. Your agent, booksellers, librarians, or local writer’s organizations can help you find books and seminars on learning the business side of publishing and how to market your book. Going to writer’s conferences helps to meet knowledgeable people. Joining established writer’s organizations helps. Working in a bookstore helps! It’s also worth looking at the web sites of your regional booksellers associations. Most of the regional booksellers associations have some ideas on what you can do for yourself to market yourself to their members. You can find information about the regional booksellers association at the web site for the American Booksellers Association, or just asking the owner of your local independent bookstore. Andy: Wow, guys! It sounds like you are having a lot of fun. I know you are really proud of this book. So am I. I wish all my clients were as savvy at marketing their books as you guys.